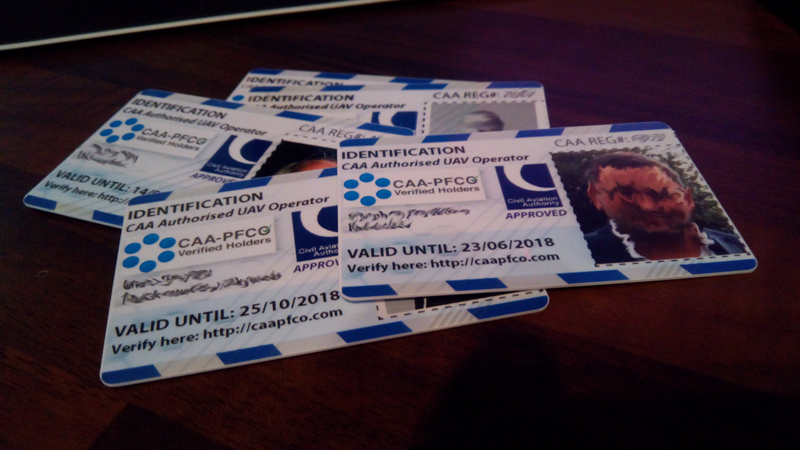 IMPORTANT: Only CAA PFCO Operators will be issued ID cards. All applications are stringently verified and checked for validity. Fill in all the fields on the Contact Form on this page. Pay the £5.99 fee via Paypal. You card will be sent to your Paypal registered address as soon as possible. If you require a different postal address, please let us know on the contact form. Sorry, PFCO Cards are CURRENTLY no longer available, but please come back in 2019.